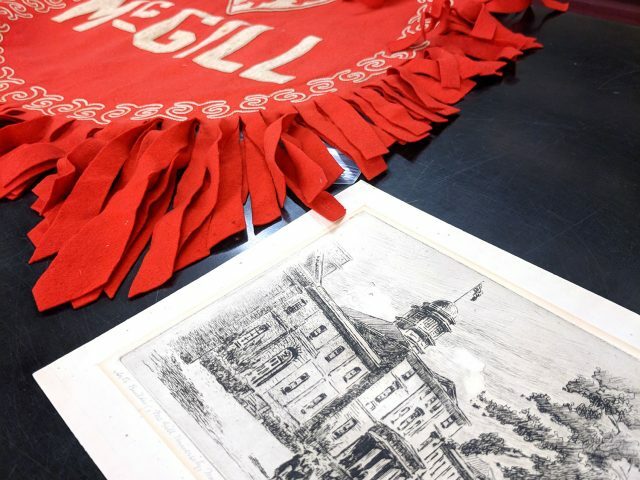 McGill24, the University’s annual day of giving is coming up on Wednesday, March 13, 2019. Over a 24-hour period, donations will be made around the world with the aim of impacting a new crop of students and researchers. 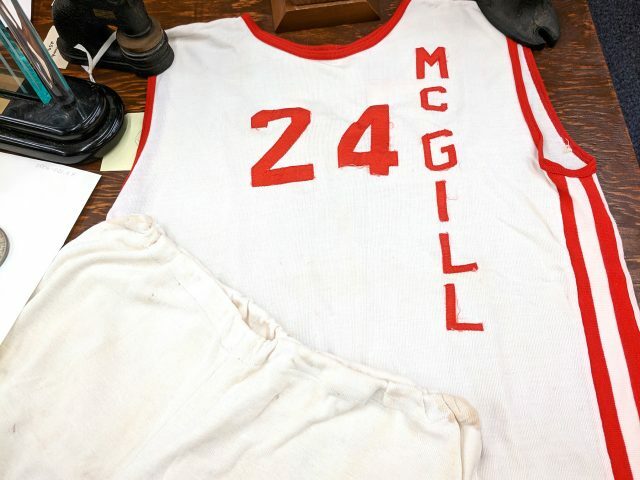 This year’s theme, McGill Moments, gives current and former McGillians the opportunity to look back on the experiences that shaped their time here and made them who they are today. 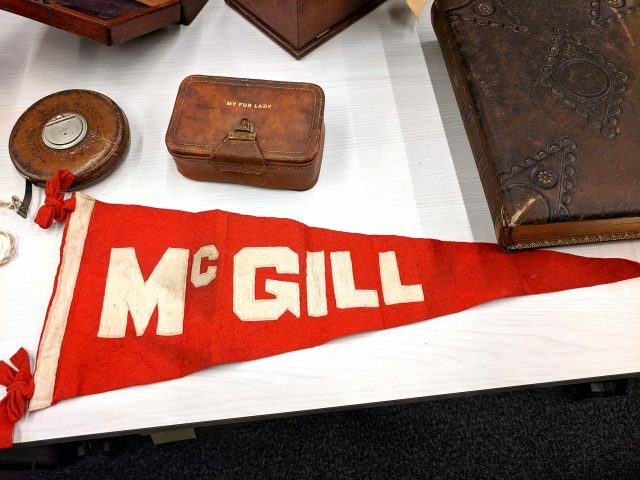 The McGill University Archives is a treasure trove of such moments. 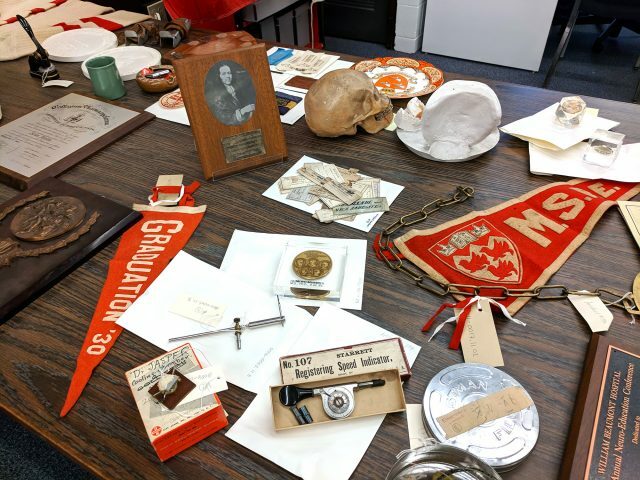 If these objects could talk, they would tell story upon story of the Library, classes, dorm life, Montreal winters, research, school spirit, political rallies, friendships, discoveries, first loves and team pride. Giving to McGill on March 13th will help ensure that the next generation has the chance to create new moments and to achieve their dreams. 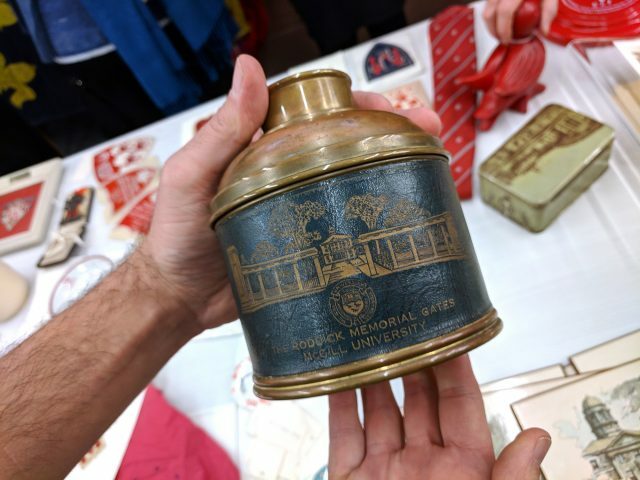 And in the years to come, the sweatshirts and keepsakes of today will become the memorabilia and archives of tomorrow.